Paper Smooches SENTIMENT SAMPLER Clear Stamps Kim Hughes at Simon Says STAMP! 01008 / 1.2 This item is on reserve until If you would like to reserve this item now, you may purchase it now with the rest of your order. We will hold your order now and ship your entire order as soon as this item is back into stock. If you would like your order to ship now, please place this item on a separate order. 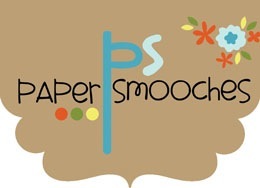 Success, Paper Smooches SENTIMENT SAMPLER Clear Stamps Kim Hughes has been shared! This is a must-have sentiment stamp set because it covers so many fantastic occasions! These stamps will add the perfect final touch to your creation! This playful 4 x 6 stamp set consists of 15 sentiments. Some words are bold for extra impact. Approx. sizes: all sentiments range between .5 to 1" tall, .75 to 2.5" wide. 1) embellish with sweet accents and let the sentiment make the bold statement. 2) Wonderful for scrapbook pages. 3) Stamp the sentiment to create custom patterned paper. 4) Create a coordinating set using each sentiment for a great gift idea! 5) Combine words for extra fun messages. This set consists of one-of-a-kind sentiments that are hand written with love.